If you’ve ever been mystified by the tremendous body of work that has been produced by the artistically talented Wyeth family – encompassing three generations of prolific American art – your chance to see works from the youngest Wyeth is coming soon. 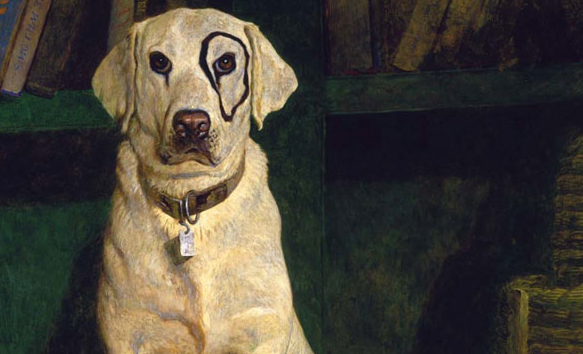 Starting in July, the Museum of Fine Arts in Boston, Massachusetts will be exhibiting the work of Jamie Wyeth in an eponymous show featuring six decades of his work. 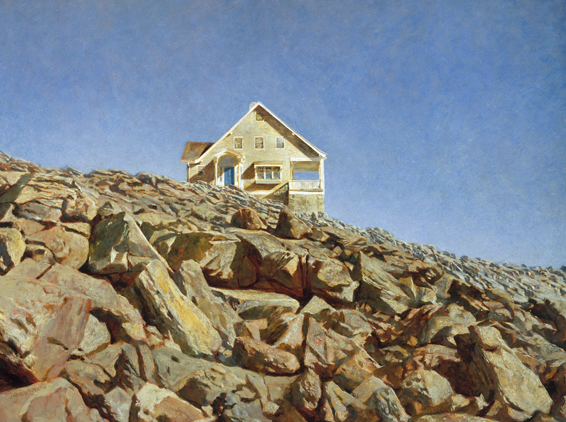 “The first comprehensive retrospective of artist Jamie Wyeth will examine his imaginative approach to realism over the course of six decades, from his earliest childhood drawings through various recurring themes inspired by the people, places, and objects that populate his world,” explains the museum. The description of the exhibition is accompanied by a little background information about the artist. 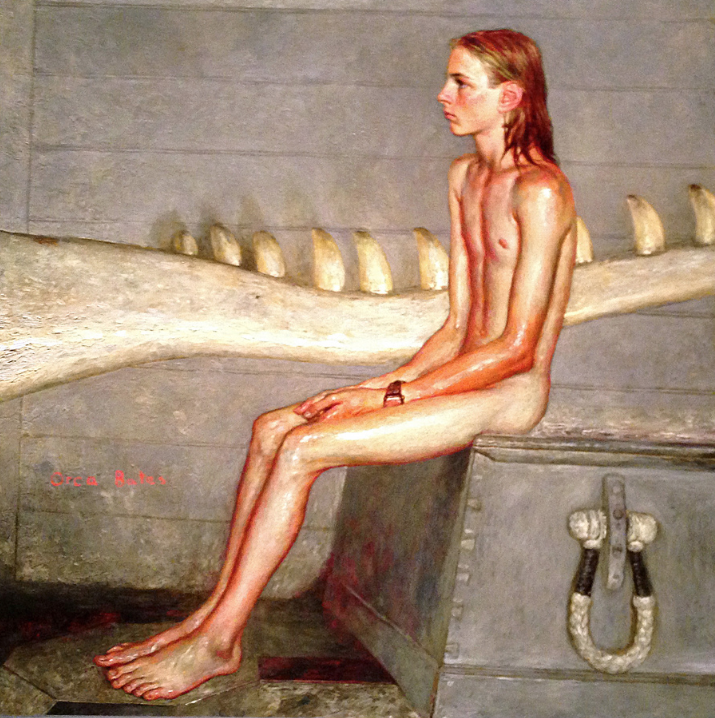 According to the Museum of Fine Arts, “Jamie Wyeth has followed a unique path, training with his aunt Carolyn after leaving school at age 11, studying anatomy in a New York City morgue and working in Andy Warhol’s New York studio, The Factory,” of a handful of the influences that shaped Wyeth’s artistic career. In addition to his aunt and mentor Carolyn Wyeth, the artist was preceded by his father Andrew, as well as his grandfather Newell Convers “N.C.” Wyeth, who both achieved acclaim during their artistic careers. Jamie Wyeth was undoubtedly influenced by the artistic trends cultivated in mid-twentieth century New York City, where the likes of Andy Warhol and his other contemporaries played a part in shaping his artistic sensibility. Those influences, combined with his being an artistic heir to the Brandywine School tradition of painting pastoral scenes, have resulted in an artist who has become widely known for his contributions to American realism, particularly his signature landscape and portrait paintings. The exhibition, “Jamie Wyeth,” will contain approximately 100 paintings, works on paper, illustrations and other assemblages created by the artist, details the Museum of Fine Arts. You can expect to see many of his signature portraits of iconic American figures including John F. Kennedy, Andy Warhol, Dr. Helen Brooke Taussig, and others. The portrait of Dr. Taussig, which was regarded as an infamous, unflattering work for some time, will be making its public debut in the retrospective exhibition of the artist’s work. Today, Wyeth’s body of work is included in many public collections, including the National Gallery of Art, the National Portrait Gallery, the John F. Kennedy Library, the Museum of Modern Art, and myriad others. His expansive collection includes paintings, drawings, children’s book illustrations, and multi-media works; Wyeth has been commissioned by the United States Postal Service, former presidents, the Special Olympics, and many private parties seeking portrait work. 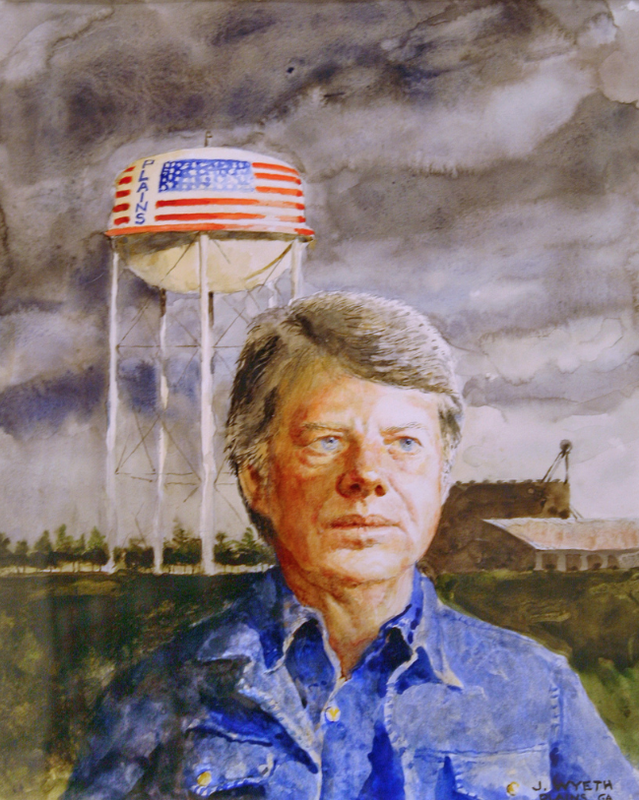 In addition to various honorary degrees that Wyeth has earned, in 1972 he was appointed as a council member of the National Endowment for the Arts, and has also served as a member of the American Watercolor Society and other arts organizations. To learn more about the artist, and the upcoming exhibition at the Museum of Fine Arts, visit www.mfa.org.